Algeria's parliament on Tuesday named Abdelkader Bensalah as interim leader for the next three months, prompting thousands of students to pour into the streets in protest. Bensalah, the leader of parliament's upper chamber for the past 17 years, replaces former president Abdelaziz Bouteflika, who resigned last week after more than two decades in power following weeks of nationwide protests over his attempt to run for a fifth term. A close ally of the former leader, the 77-year-old is to use his short tenure to organise presidential elections, for which he will not be able to run. "I am required by national duty to take on this heavy responsibility of steering a transition that will allow the Algerian people to exercise its sovereignty," Bensalah told parliament following his appointment. Born in November 1941 in Tlemcen, near the Moroccan border, Bensalah is a prominent figure of the ruling National Liberation Front party, which has dominated the country's politics since the country's independence from France in 1962. After fighting in the war, he left for Damascus, Syria, to study law and then embarked on a career in journalism before being elected as an MP in 1977. Since then, he has been an ambassador and senior civil servant and in 2002 — three years after Bouteflika rose to power — he was appointed as the head of the Council of the Nation, the upper house of the Algerian parliament. He has been duly reelected every three years since with his current mandate due to end in 2021. In recent years, he has also represented the country at international gatherings in lieu of Bouteflika, who retired from the public eye following a stroke in 2013. His position gave Bensalah the power to assume the presidency should the elected leader not be able to carry out their duties. His latest appointment is thus in keeping with the country's constitution although the opposition abstained from the vote earlier on Tuesday. A source told the AFP news agency that the new interim leader is "good servant of the system" whose longevity in the corridors of power owes much to his discretion. 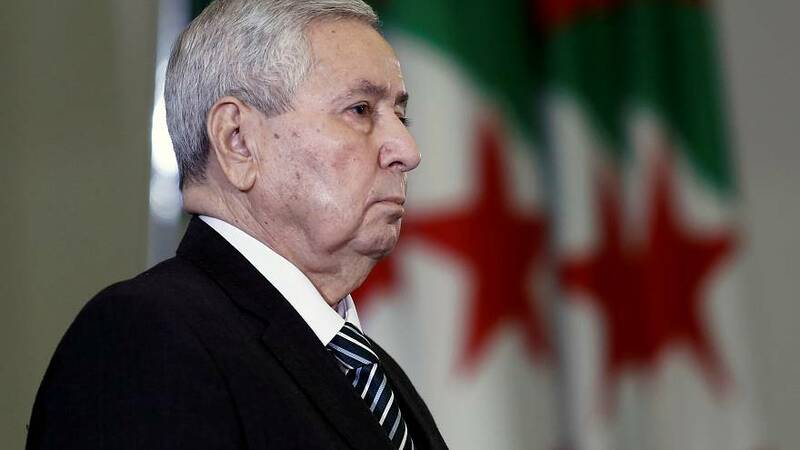 Algerian daily El Watan wrote of him in 2015 that "making himself useful at the right time is what he knows how to do, he who rarely speaks on issues related to the management of state affairs." His critics include some who accuse him of being Moroccan by birth and having been naturalised Algerian in the 1960s, which would prevent him from holding the presidency. Bensalah has always vehemently denied the allegation. His nomination as interim leader has also sparked fresh protests. Mass demonstrations in recent weeks had called for a renewal of the political system and a transition period in which key figures from the regime would be excluded and in particular the "3D." These include Tayeb Belaiz, the President of the Constitutional Council, newly-appointed Prime Mister Noureddine Bedoui and Bensalah himself. Students pouring in the streets of the country's biggest cities on Tuesday chanted "Bensalah get out" and "Goodbye system." Police have deployed water cannons and fired tear gas to disperse the protests in the Algerian capital, Algiers.